This is something I’ve received a bunch of questions about and certainly spent a good deal of time wondering myself when I was going through some pretty severe binge eating. The question is: Do you absorb all the calories you consume during a binge? But the real, underlying question here is: Is it possible to eat so much that you - at some point - stop absorbing the calories? Any of my clients will be the first to tell you that, whenever answering a tricky nutrition question, I like to start with the evolutionary background to it. It’s always important that, before trying to make sense of the scientific minutiae itself, we ask “why would the body prefer [one thing] over [another]?” Remember that our brains are frozen in time somewhere in the neighborhood of one million to ten thousand years ago, so any neural mechanisms we’re equipped with now serve to protect our Paleolithic selves more than our modern selves. Another way to put that: Our brains are almost identical to the brains of early human from over 10,000 years ago. We’ve only been dieting and purposefully manipulating food intake (at least, on a large scale) for the past 40-50 years. That’s not even half of a percentage. So, if you think the brain is adjusted to Weight Watchers and keto, I’d recommend rethinking that conclusion. In this vein, it’s quite clear that for the body to stop absorbing calories at some predetermined point would be a HUGE evolutionary disadvantage. Evolution would not select for any enteric nervous system connections (or simple gastrointestinal mechanisms) that shut off calorie absorption, or else we would have died out as a species long ago. Since early man was in a constant state of food scarcity and needed to have the ability to store nutrients for an upcoming harsh season, the body is inclined to store anything and everything it’s fed. Wasting that could be the difference between life and death back before the agricultural revolution. Now, this premise could of course be put to the test if one were to consume some astronomically high calorie load in a single sitting. But we’re only concerned now with calorie intakes that are humanly possible. It’s important to mention that weight regulation (of which food intake regulation is a function) exists in both directions. When we are approaching starvation, the brain sends out hunger signals and primes itself for disproportionate fat storage when more food comes in, so that we can survive (although the flee from famine hypothesis, as put forth by Shan Guisinger, argues this response is maladjusted in anorexic individuals). But the brain also tries to keep us from getting too large, which would have historically put us at risk of the opposite of starvation - called predation (basically, the point where your weight slows you down enough that predators hunting you down is a possibility). Since predation has not been a concern in the past 5000+ years, and since food marketing practices are increasingly pumping out hyperpalatable food items meant to bypass satiety cues and be overeaten, upwards weight limits are being pushed. To articulate the second point here, it’s important to understand a basic concept called feedback inhibition (or more accurately, end product inhibition). This is just a fancy way of saying that when you put too much into one side of a chemical reaction, the flux of the reaction has to slow down, which means less end product is churned out. Also vital to our discussion is the idea that different nutrients are broken down at different rates. By “broken down,” I mean digested. Digestion is the mechanical breakdown of foodstuffs into the respective nutrient building blocks, while absorption is when nutrients are literally absorbed through the intestinal walls (or stomach, for some nutrients) into the blood, from which transportation will finish the job (i.e. sending nutrients to the appropriate target organs/cells). *To be sure, fiber (which is sometimes considered a carbohydrate) is either indigestible or not fully digestible by the human body. So, this is not factored in. There’s nothing good or bad about the rate at which these nutrients are digested. Why? Well, I guess we’re going to jump around here, but here’s the main point: It will all get absorbed eventually. Yep, every last [digestible] bit. The GI tract may kick into proverbial hyperdrive to blast through peristalsis and streamline digestion, which could mean slightly more undigested nutrients present in the feces. But of the nutrients we digest (bar malabsorptive symptoms present in any specific metabolic disorder, such as phenylketonuria [PKU]), you can count on 100% absorption. But why did we bring up this concept of nutrient digestion rates and end product inhibition in the first place? Well, the practical implication of this end product inhibition is that, when enough reactants are shuttled into the reaction, at some point things back up. When things back up, those reactants will be shunted down different metabolic pathways. Think of it as a traffic jam on a major interstate highway next to an exit. Imagine there’s just abysmal stand-still traffic on 5000 feet of road that your GPS says could take 2 hours to get through (exaggerated to prove a point). At some point, people are just going to start breaking off and taking the exit, because you can’t just sit there all day. This is basically what happens when a certain nutrient is shuttled into the system in abnormally large amounts, and the body decides to send nutrients down that alternate pathway to maximize absorption of nutrients. The classic example is sugar turning to fat. This happens less often than we might be led to believe, since fat storage is usually more a matter of physiological preference (more on that another time), but in times when the reactants side of the reaction is backed way up, it’s possible. This is called de novo lipogenesis (DNL) and refers to the conversion of glucose to fat. This happens because, like we said, the body decides it needs to shunt that glucose off into an alternate pathway so that we can maximize nutrient absorption. So, even when you load the system with something to the point that things back up, there are still biological measures in place to ensure it’s all milked out. This is what’s important. Regardless of the metabolic story post-binge, you are still going to be the same person. You’ll be no less valuable to others and (whether you choose to believe it or not) no less valuable to yourself. You are so, so much more than your daily caloric intake or your weight. As long as you let caloric intake, the “goodness” or “badness” of food choices, and your body size/shape influence how you see yourself, you will allow the restrict-binge cycle to roll on. I know these things are at the forefront of your mind right now (likely alongside a million other things you’re afraid you’ll never be able to process), but now is not the time to trust those thoughts. For more on what to do after a binge, check out my recent article 11 Things NOT to Do After a Binge. It details some activities/behaviors/mindsets that are extremely common post-binge and why to avoid those. This is an important read, so make sure to at least skim it! Okay, I know I spend a lot of time here cautioning against relying on calorie counting and weighing yourself, two behaviors that pose some big potential risks. But, to really quell your concerns, if the above didn’t do the trick, I want you to put this all in perspective. If we use the static fat loss model that asserts there is roughly 3500 kilocalories (what we colloquially call “calories”) in a pound of fat, we can easily prove how meaningless a binge session is in terms of weight gain. I’m not telling you this because weight gain is somehow “bad” but because the worry that huge weight gain will occur is unsubstantiated. 3500 calories in a pound of fat means you’d need to be eating that much above what you “normally” eat (and we normally eat right around our maintenance caloric intake) to put on one pound of fat. And your maintenance caloric intake adjusts when body size changes (in theory, metabolism increases when you gain weight and decreases when you lose weight), so the maintenance level you’d need to be eating a 3500+ kcal surplus in would be changing proportionately anyway! Some in the community may not like that I said that, and that’s okay. As a nutrition coach who works with real people who aren’t perfect and certainly aren’t always ready for the weight-neutral, anti-dieting train (it takes time), I know the post-binge freakout entails a lot of desperate questions. And I know those questions will be Googled. And I would rather you stumble upon my article (or anyone who is being honest and helpful) and get the “numbers talk” from me than from some “lose the gut in 6 days!” diet guru. The worst thing you can do after a binge is stay isolated and in the same environment, just hoping the feelings will dissipate. I know how scary of a mental state you can be in in this position, but know that all you need right now is a plan. Not a plan to get “back on track” with some restrictive diet or a plan to “burn this off,” but a plan to prioritize self-care. The biggest consequence of a binge is the stress and negative self-talk. Now is the time to heal and recover. How do you do that? I wrote about it in my article 8 Tips to Stop Binge Eating. 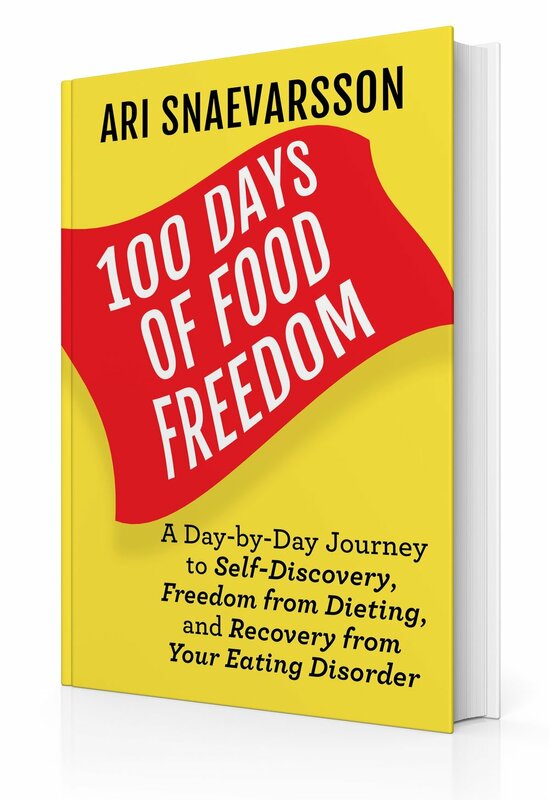 If a listicle format blog post doesn’t feel like it’ll suffice, definitely make sure to check out 100 Days of Food Freedom: A Day-by-Day Journey to Self-Discovery, Freedom from Dieting, and Recovery from Your Eating Disorder. I’m super confident this could be the one tool you need to make a full recovery. 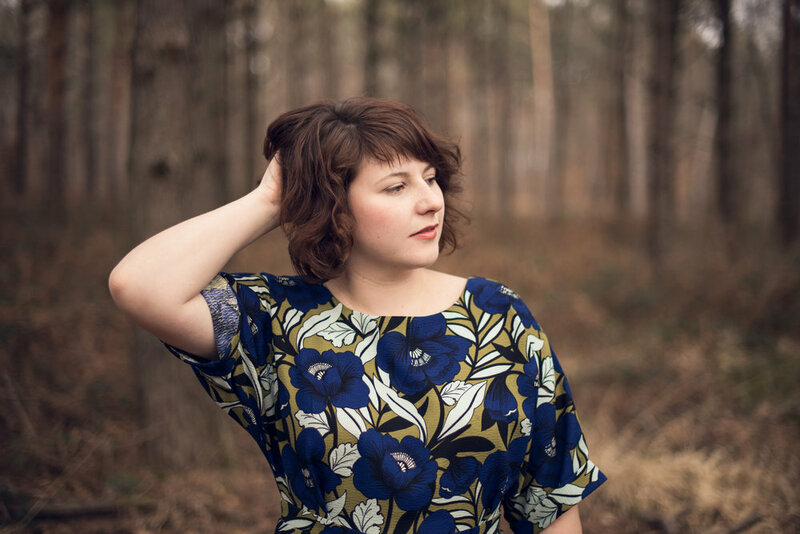 That’s not salesy me talking… that’s “my clients have literally told me this has helped them reclaim their relationship with food and their bodies” me. But I’ll save the full plug for down below. 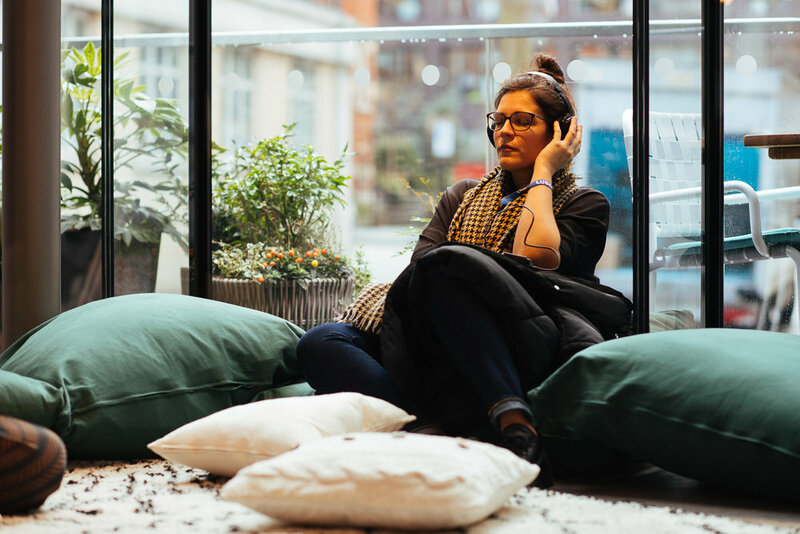 Finally, if even a comprehensive 100-day guide to recovery doesn’t seem like enough, I offer some in-depth recovery coaching services, with three different levels, depending on what you want out of it and can feasibly afford. You can click here to learn more. Let me know what you thought of this answer and if you have any other questions. I love answering these, so don’t hesitate to shoot them my way! To do so, you can find my contact info here.